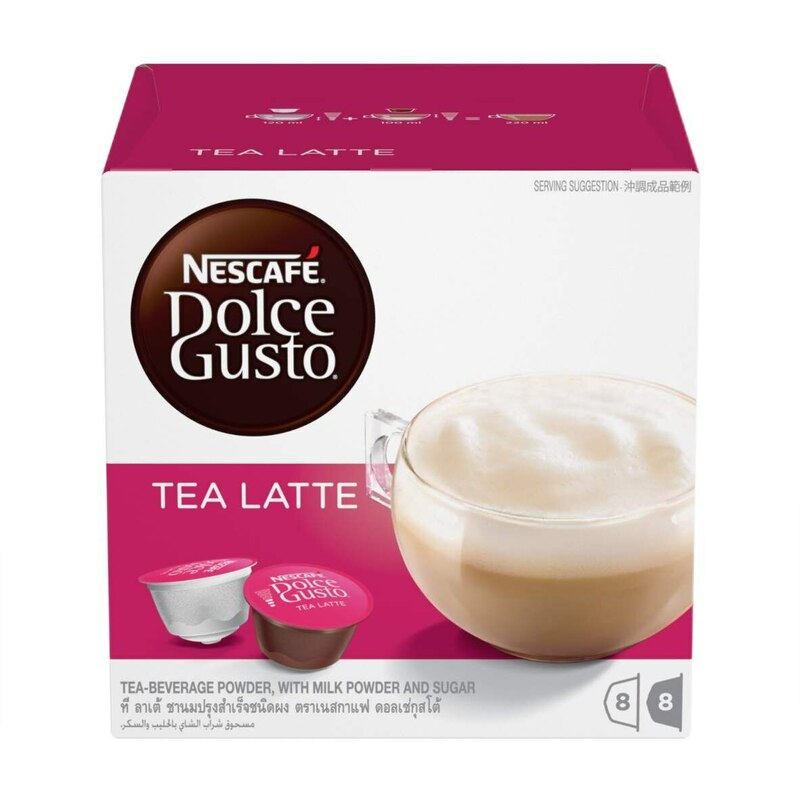 Each box contains 8 tea and 8 milk capsules designed for NESCAFÉ® Dolce Gusto® capsule machines and allows you to prepare 8 cups of Tea Latte. Sugar (46,3%), whole milk powder (38,6%), tea extract powders (11,3 %), natural flavourings, vegetable oil (coconut, palm), salt, yeast extract, emulsifier (soya lecithin). Very nice taste and i bought the machine mainly for this flavor only! 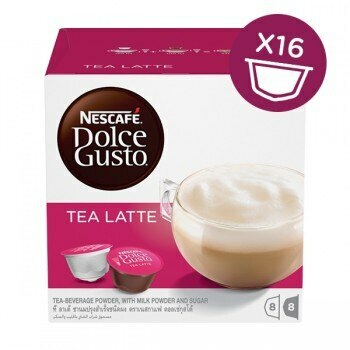 My wife loves the taste of the Tea Latte. It is smooth, rich tea taste and not too sweet. Nice cup of tea, very nice aroma, rich, silky and smooth. Something like Hong Kong milk tea. But only issue is its abit too sweet. Super nice! Love the fragrance love the taste! No sugar needed yet not too sweet. Both my wife and I love it. Very smooth and great flavour! I was very skeptical about tea lattes all along. I usually prefer plain lattes. However, after trying this drink, i think its indeed perfect for all times of the day. The drink is not overfully powerful that gives you sleepless nights. It is not too sweet as well compared to many varieties out there. Best part is the tea aroma. Its just enough to make it extremely fragrant but it does not cause it to have bitter taste which is always the case when you have coffee-tea combinations at cafes/restaurants. Really thumbs up for this drink. Everyone should try it. Who knows you may love it just like i do. 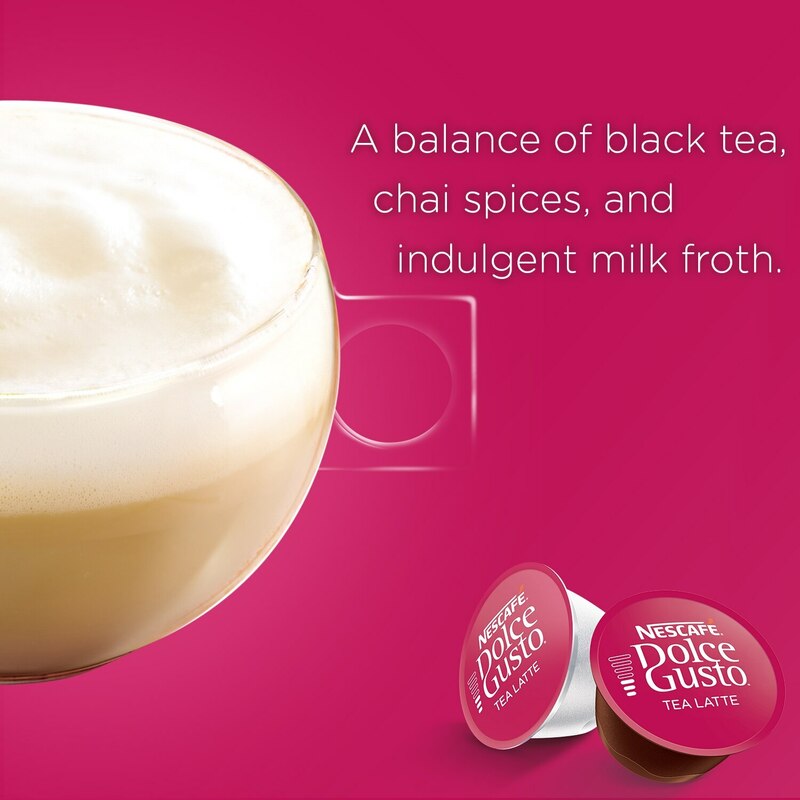 We are pretty heavy tea drinkers and the Dolce Gusto Tea Latte is one of our favourite milk tea among other tea like the Taiwanese bubble tea, the Indian Teh Halia and the Ang Mo Iced Lemon Tea. We take it for breakfast, in between meals and on its own. Awesome! 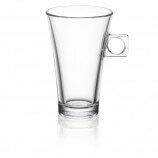 Everyone talks about coffee but my wife just loves the tea latte. So again I have stock up on her favorite beverage. I'm a big fan of Teh Tarik ice, you dolce can make one with ice I'll definitely will buy it.